Madison and James’ wedding on Saturday was just beyond awesome. 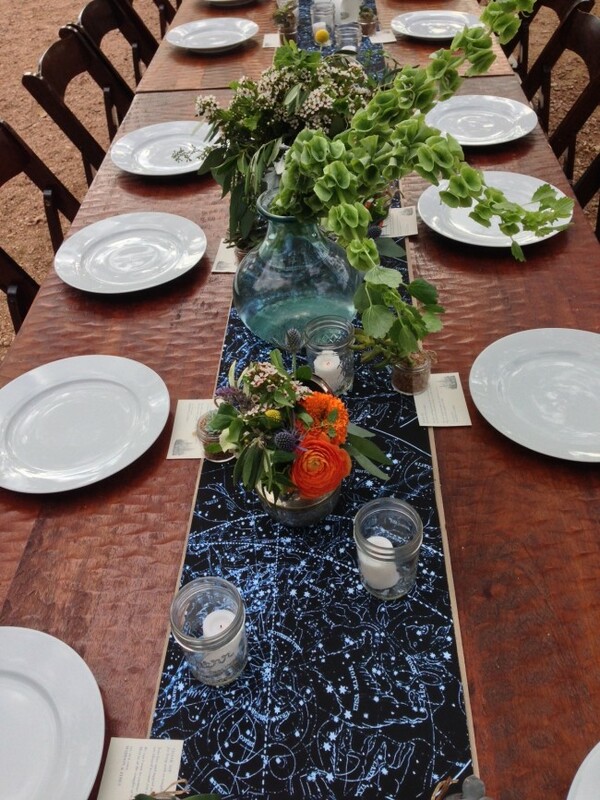 Check out the constellation table runners her parents made! 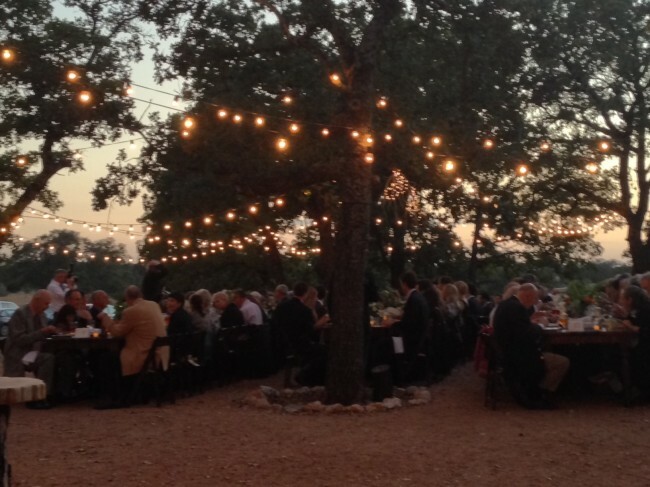 And dinner under the lights at Three Points Ranch? Always perfection. We have 3 days of events lined up for this weekend for Hilary and David! I would LOVE details on how these runners were made! Is it fabric? Hi, Allison! I absolutely loved these runners!! They’re actually paper! The bride’s parents printed them on a special printer on large scrolls of paper, so we just laid them out end to end on the wood tables and taped them down to secure them.